HB 585 - Impressive on larger areas – the powerful HB 585 tiller. Impressive on larger areas – the powerful HB 585 tiller. 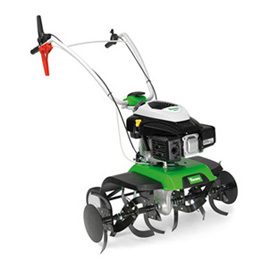 This powerful tiller impresses on larger areas. With a working width of 85 cm and a powerful Kohler engine, it covers large areas and beds, as well as small arable fields at a remarkable speed. The optimised anti-vibration system spares your muscles and joints. High-quality components as well as the sturdy mountings for the brake spur, chassis and accessories to the housing make this powerful tiller particularly robust and durable.